Since getting the track file from Wax Roof, I've listened to "Smile Again" a good 20 times. In this current state of emotional existential and political dread, Michael Sneed's acknowledgement that optimism is a necessity in bad times is reassuring and up-lifting. The lyrics pair nicely with the rappers youthful voice and upbeat flow. I first came across Producer Wax Roof a few months ago on Siri's EP GAWDBAWDY. Since then, he seems to be everywhere. Making tracks for up and coming bay artists like Elujay and Rexx Life Raj, his expertise with jazz instrumentals produces sounds that are calming, sure, and mentally stimulating. Add to the mix Alana's soothing voice and "Smile Again" proves to be just the sort of track that will make you welcome the spring. Check out the new track and artist bios below. 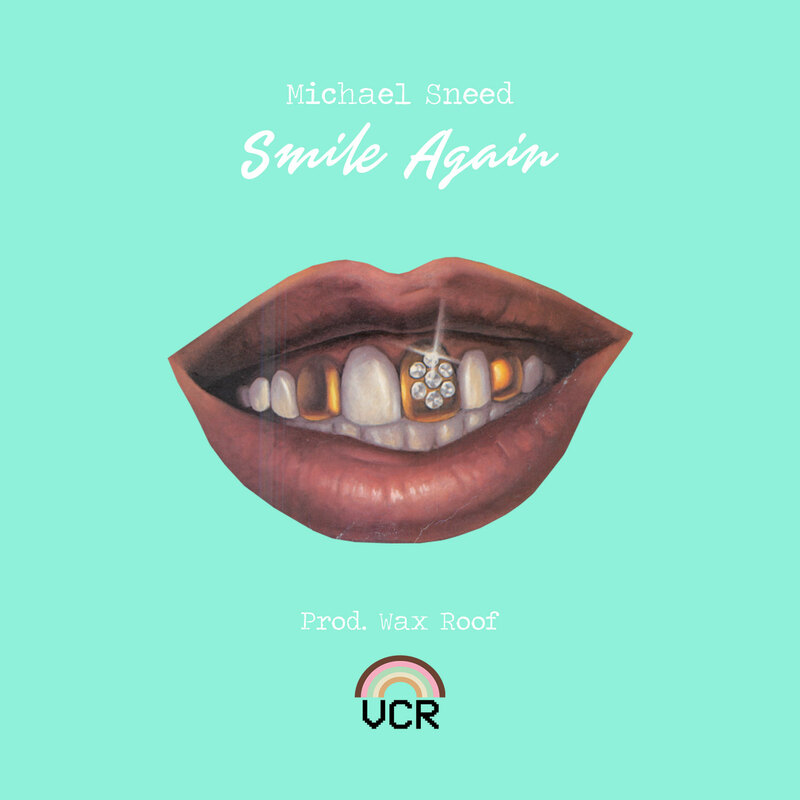 The song-singing rapper, Michael Sneed, is an Oakland native that currently lives in the DMV area. His ear for melody is unparalleled and he takes pride in his ability to rap well. His sound is inspired by Kanye West, Andre 3000, E-40, and Broadway Musicals amongst many other influences. Michael is currently working on a project entitled "A Kid At Heart," where he hopes to provide moments of joy, nostalgia, and magic to his peers and friends while also reintroducing them to forgotten childhood lessons. Michael's ultimate goal is to comfort his listener in their pain and to give them a reason to smile more. Wax Roof is a modern composer in an age of production. Whether he is recreating a sample or improvising on the piano, his fluency in the languages of melody, harmony, tone, and rhythm shine. His background ranges from traveling the south of Spain studying Flamenco Guitar to trolling the swap meets of Oakland looking for unheard records. He is a product of jazz clubs and concert halls, looking to move the heart AND body, almost always at the same time. After being forced into sampling and programming by a debilitating pain condition that prevented him from playing for 5 years, he has re-emerged in the last few years with a fire and conviction in him that comes with a second chance at your dreams. In this short time his compositions have been featured in TI and Tiny the Family Hustle, Vice, Fader, Snap Judgement (#1 podcast, 2015), Pigeons and Planes, Hip Hop DX, XXL, KQED and Soul Spasm. Currently based out of Oakland, his most recent releases include work with stars such as Murs, Saba, Elujay, YMTK, Caleborate, Rexx Life Rajj, 1-OAK, and Siri.